Damien Wu is CIO at Link REIT, with over 20 years of IT management, consulting and startup experience. He is responsible for the formulation of IT strategy as well as the management of all IT functions of Link. Prior to joining Link, he had held senior IT management roles at various multinational consulting firms and local conglomerates, including Avanade (a Microsoft and Accenture JV) and Orange Sky Golden Harvest. He was also the co-founder/CTO of two successful IT startups in Hong Kong, Resources Link (a JV with China Resources) and Wisers Information. How has technology evolved at Link? Although Link is the largest REIT in Asia, we're actually a very young company, just a bit over 10 years old. It was transformed from a public asset to a REIT which had no precedent in Hong Kong. When Link was set up, we inherited the shopping centers as well as aged computer systems from the government. For the first few years, therefore, we focused on improving internal business processes and controls, and updating all the systems. When I joined Link eight years ago, there wasn�t even an Enterprise Resource Planning System, and there were isolated systems for functions like accounting, rent roll, jobs and purchase orders. There were challenges in finding a good solution, as the available products were not really designed for Asia, which is a unique market. We eventually selected Yardi and worked with their service team to localize the systems for Hong Kong. After that, we also developed our own procurement management system and implemented a leasing CRM system based on Microsoft�s CRM. After stabilizing internal systems and processes, we moved on to focus on two areas. The first was consumer-based applications. This coincided with our strategic plan to expand outside of Hong Kong into mainland China. In China, e-commerce is very hot � people are a lot more tech-savvy in terms of e-payment and consumer apps, so there was an impetus for moving into that area. It started with an organizational restructuring where we set up a Consumer Experience Management (CEM) department to focus on enhancing our interactions with consumers. One of CEM�s initiatives was to develop our own consumer app, called Park & Dine, which we launched in 2015, and have been improving continuously ever since. It offers a full range of features, from checking parking space availability to queuing for the more popular restaurants in our centers before you arrive, and it offers shopping advice and e-coupons. The other area we initially focused on was our shopping facilities. While the company is quite young, the properties that we own and operate are up to 30 or 40 years old. As we renovate these properties, more and more digital devices � from different sensors to digital panels, cameras, smart vending machines and network devices � are being added. These IoT devices generate a wealth of useful data, so we began to manage all the data centrally and strategically to create more modern, connected centers and to better understand our customers. 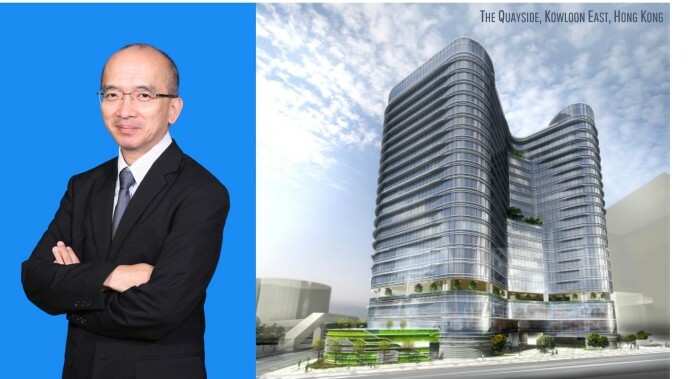 We are also about to complete our first major development project, a Grade A office and commercial complex called The Quayside (pictured above) located in the rapidly developing Kowloon East neighborhood of Hong Kong. It has been really an opportunity for us to plan all these building technologies from scratch. Given the vast amount of network and digital devices in our new or renovated buildings, we are also in the process of redesigning our operation processes to cater to this new digital era. What are your highest priority technology initiatives? As technology matures, there is a lot we can do to improve the quality of our services. Over the next two years, we�re developing a corporate-wide facility management system. This involves all teams, from property management to project and development. Our main driver is IoT and mobile technologies, which have made it more feasible to track an asset's life cycle, to record maintenance work details and other intelligence involving the assets. This not only allows for better preventive maintenance, but also better quality of the overall facilities and planning. Another priority relates to data analytics. Different departments have accumulated considerable data over the years, residing in different systems. We have now developed a comprehensive analytics platform to consolidate data, which we make available to our research team as well as analysts in different departments. We have also had some early success with AI and big data analytics that we applied to our car park data to optimize the utilization of parking spaces and increase revenue. We will continue to focus on analytics to better understand our customers and optimize our operations. We've also put much effort into cyber and data security. Our management team is focused on this topic because the number of devices that we are responsible for has increased in magnitude. Link is a member of the Smart City Consortium in Hong Kong; and I�m the chairman of the Consortium committee. We are putting together best practice guidelines as well as technical guidelines that should improve industry performance, and perhaps influence our vendors to strengthen security protection for these devices. What are some of the major trends affecting your industry over the next three years? The major industry trends in the near term are virtual reality, augmented reality and AI. These technologies really excite us. The way people use shopping centers is changing, which is good for us and our business. In Mainland China we call it the "new retail phenomenon." In Hong Kong we call it "experiential shopping." With the rise of e-commerce, people can shop without going to a shopping center. 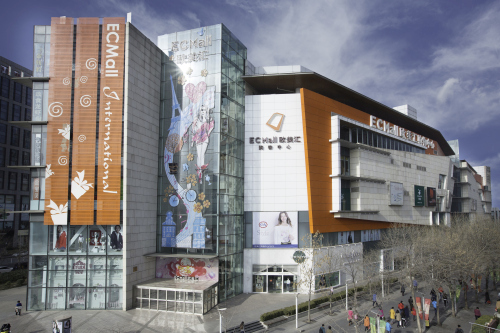 Thus, visiting a shopping center is more about enjoying the time spent in a social gathering place, particularly in Hong Kong where homes are small, and people prefer to go out and meet friends. We have been doing pilots involving these new technologies to enhance the shopping experience in our properties. Another trend is how technology creates a seamless experience for customers. We are facilitating how people pay for merchandise and parking. For example, in Asia you often need to pay for parking after visiting a shopping center, and you need to redeem your shopping receipt for free parking. But with an app, you can be recognized as a member at the gate and skip those extra steps. The app aligns the process with transactions, so you are automatically charged or offered free parking. To the customer, the convenience is an important value proposition. As a shopping mall owner, we have to understand customer behavior, which will enable us to improve our service offerings over time. Do you have any advice to share with other CIOs who are trying to include better and more valuable technology for their companies? One experience to share would be the value of working with start-ups. The business culture in Hong Kong is different than in the U.S. Here, big corporates such as Link can have stringent procurement requirements and rules that discourage us from working with small vendors. Two years ago, we started an initiative to work with start-ups as part of our sustainability program. By giving them opportunities, we can help them and the community grow. However, as we engaged with these companies, we realized that Link also benefited a lot: by inspiring our team, encouraging us to think out of the box and helping us see what is achievable with technology. We even organized our own PropTech accelerator program last year with Hong Kong Science and Technology Parks Corporation and received very good feedback. It is indeed a win-win situation for large enterprises to work with innovative entrepreneurs. Yardi� develops and supports industry-leading investment and property management software for all types and sizes of real estate companies. Established in 1984, Yardi is based in Santa Barbara, Calif., and serves clients worldwide. 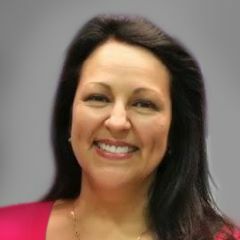 For more information on how Yardi is Energized for Tomorrow, visit www.yardi.com.